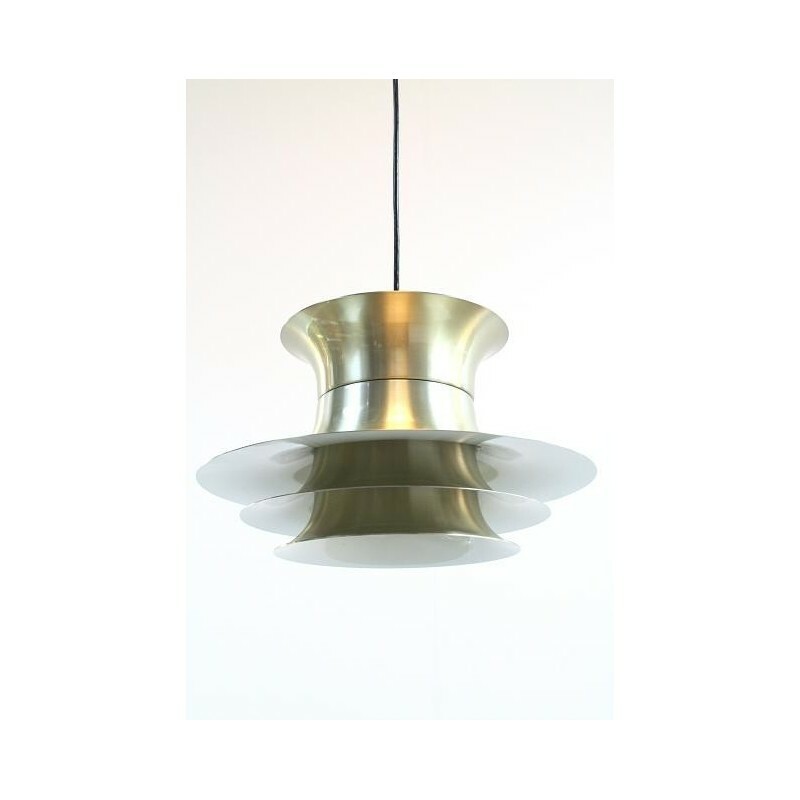 Brass-colored pendant, designed by Jo Hammerborg for Fog & Morup. 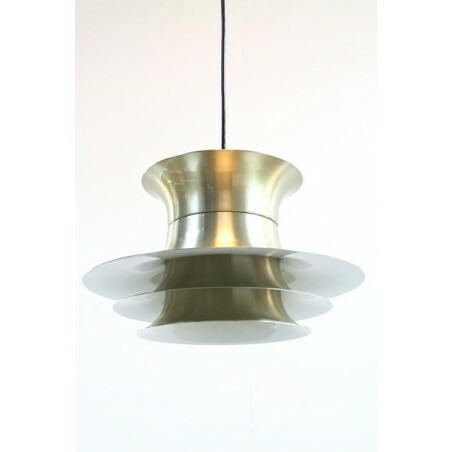 The lamp consists of several disks of aluminum, brass-colored on the outside and white on the inside. The lamp is in good condition. The size is 33 cm in diameter and 20 cm high.